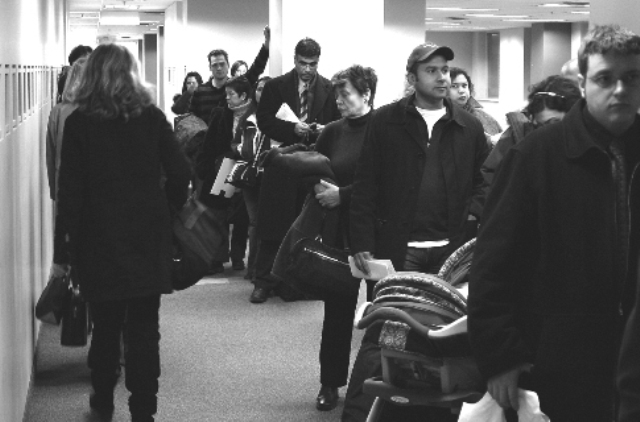 Lineups at Passport Canada as the holiday nears will increase. For those living in Canada who want to avoid the grind of visiting a Passport office may want to submit their applications into one of their local offices via mail or post. Wait times at an office were at an all time high back in 2007 when the United States government enacted the legislative change that required Canadian citizen visiting or entering the U.S to have a valid passport, which was a big shift for those of us who became accustomed to simply requiring a birth certificates or valid government issued I.D (driver’s licenses or health card with photo) when driving across the border. Some suggestions for avoiding the Christmas chaos if you’re a Canadian citizen living in Canada. Mail or courier it in (Canada Passport Help recommends using a courier service like UPS or Fedex instead as you get a tracking number to ensure reception). This is where our custom Canadian Passport Application Assessment and Canadian Passport Photo Assessment is a value if you want to avoid the lineup squeeze. If you’re mailing it in, you’ll do it once if everything is in order, and we can of course help you out to ensure that it is. Create a buffer of 40-60 days if you can prior to your travel. No one likes waiting in line, especially when you’re anticipating travelling to join your family for the holidays. Of course, sometimes this is unavoidable, but the more time the better. If you’re doing this on your own, in the event of a rejection or delay, a buffer like this will allow you to compensate. Keep in mind though, if your passport application or renewal is rejected, you will not be refunded your government fee if you are sending it in. This is one of the greatest reasons our customers choose our service when relying on the mail or courier system. Review your Canadian passport information regularly. If you’re appearance has changed, or if you’ve lost weight, or if your name has changed, or even if you’re approaching an expiry, regularly review your passport information. Keep it at top of mind, just like you would for instance, your credit report. Your Canadian Passport is one of the most important pieces of government issued identification that you can have. Keeping it in check is a great way to avoid a last minute and stressful wait or scurrying to get it up to speed.